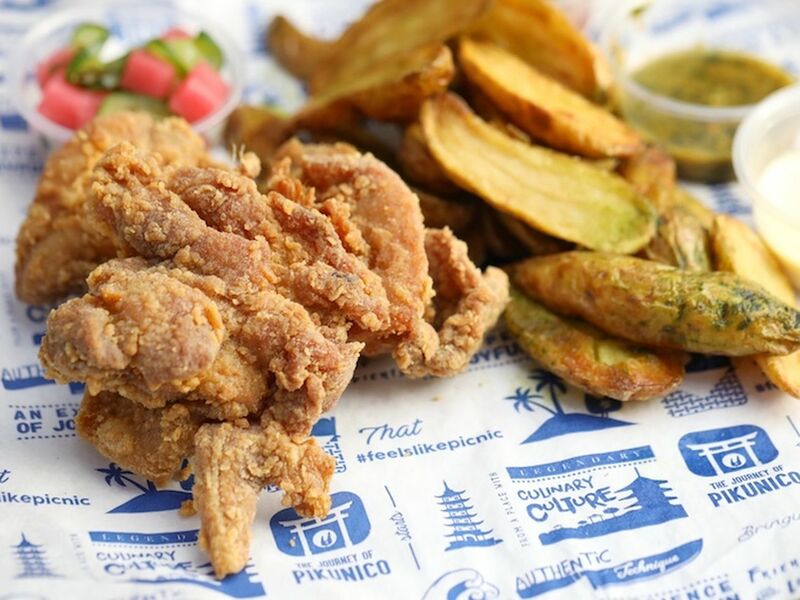 The menu focuses on free-range chicken served in sandwiches, rice bowls, and combination “baskets,” which include house-made pickles, a choice of ginger onigiri or fried fingerling potatoes, and choice of white or dark meat. 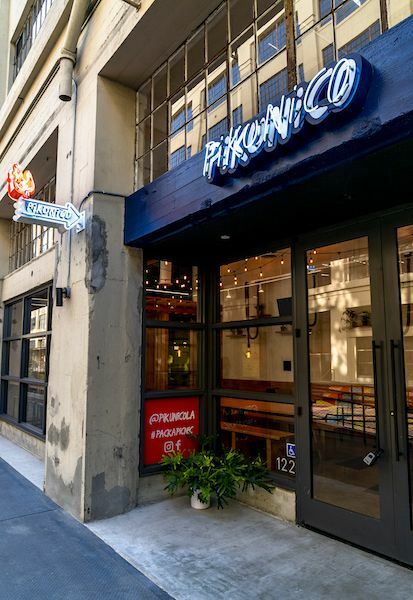 Pikunico also offers sides like chicken egg drop soup and fingerling fries, and desserts like matcha ice cream and a miso de leche cookie. There’s Japanese craft beer for those dining in. 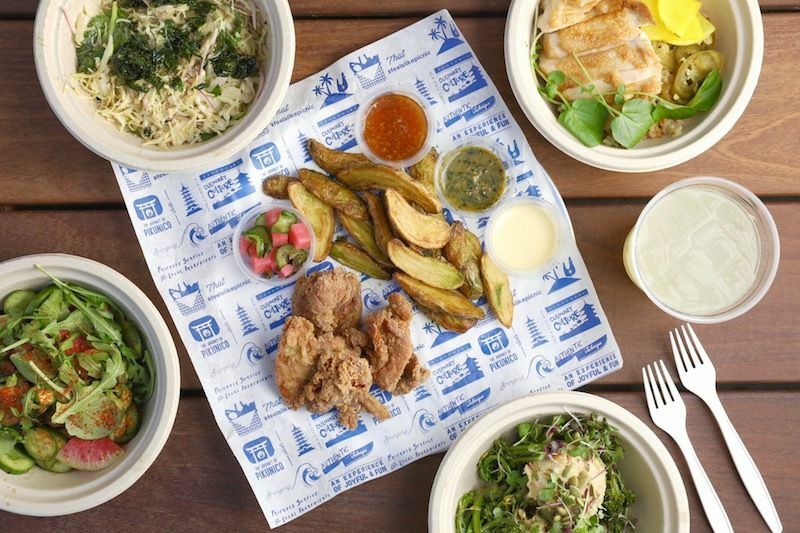 Yagi partnered with Kaizen Dining Group and secured a ROW spot back in April. 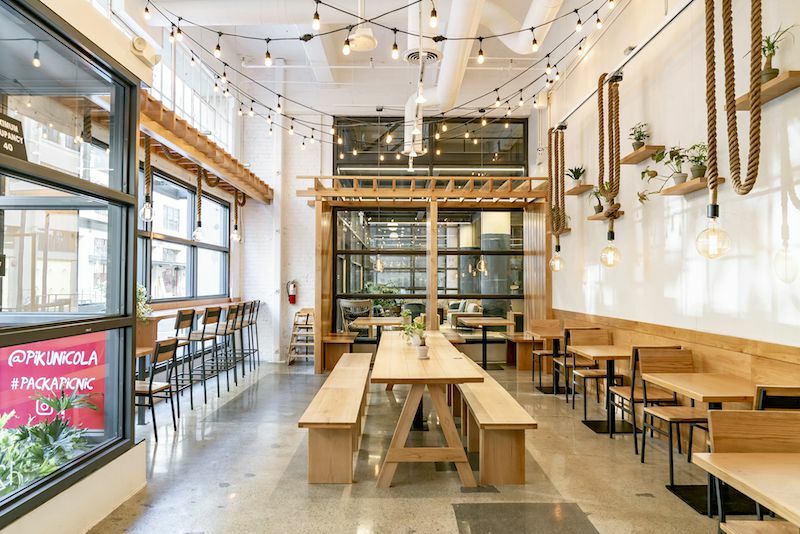 ROW’s food options keep expanding far beyond the weekly Smorgasburg, with the forthcoming bakery the Manufactory, and the recent opening of Dandelion Chocolate. Hours are daily from 11 a.m. until 9 p.m.